This is a story of old and new. Of traditions and innovation, and marketing opportunities. Of old wine making techniques, of the marketing success of sparkling pink Muscat and the trendiness of funky pet-nat wines. 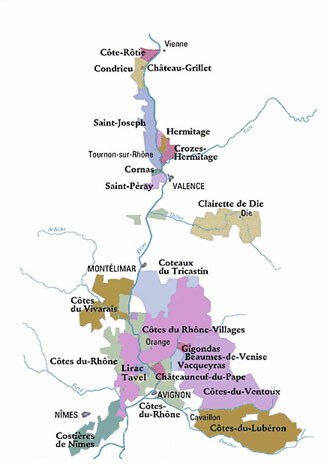 Of appellation rules and protecting wine traditions. In early January 2016, Wink Lorch (who I mentioned in my last post had personally transported rosé from Oregon for me) telephoned me. As part of her research for her next book on the wines of the French Alps she was going to visit the vineyards of Bugey-Cerdon. Did I fancy going with her to taste their rosés and their méthode ancestrale rosés. It sounded a great idea and I duly booked my ticket to Geneva where Wink would collect me before a short week visiting vineyards. The plan started to fall apart as we struggled to find hotels and restaurants which would be open in January, and the trip collapsed when a freak, cold front plummeted temperatures to below -10C. Dear readers, even in my quest to seek out all and every interesting rosé, standing in freezing cellars for four days was not high on my list of vinous ambitions. The plan was shelved, and I continued my research in warmer conditions. Legend says that the process to make the sparkling wines of Clairette de Die was found accidentally by a Gallo-Roman shepherd. He was using the cool waters of La Drôme river to chill a jar of local wine. The jar was forgotten and left in the cold water over the winter. Upon finding it in the spring, it was found to be carbonated, or pétillant, which roughly translates into English as “sparkling”. Following the original discovery, Gallic tribes left jars of the wine in rivers over the winter and then recovered them in the spring. The Diois vineyards are some of the highest in France (higher than most in Savoie for example), lying between 400 and 700 metres, rising as one travels eastwards. Saillans in the west stands at around 270m, the next village of Vercheny is at 350m, and Die itself at 415m, giving its name to the surrounding ‘Diois’ region. Some of the highest vineyards are beyond Die, at St Roman and Aix-en-Diois, over 600m, ripening usually about two weeks behind Saillans. Wine-making in villages upstream from St Roman is a challenge, with good grape maturity one year in five.